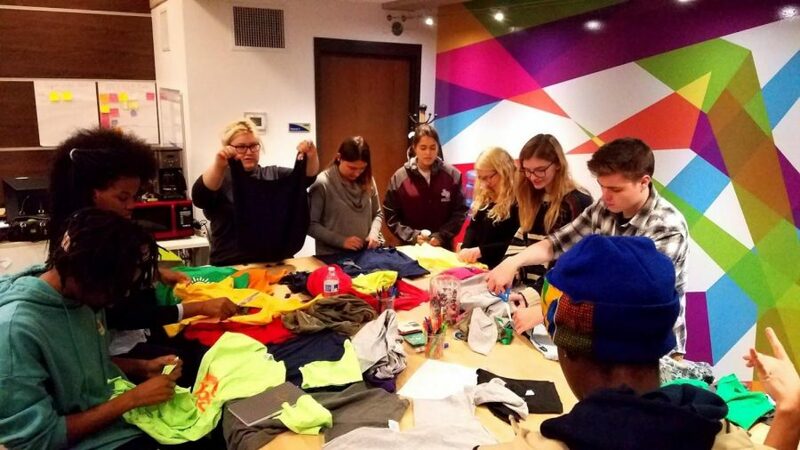 Students begin to make reusable grocery bags out of t-shirts. 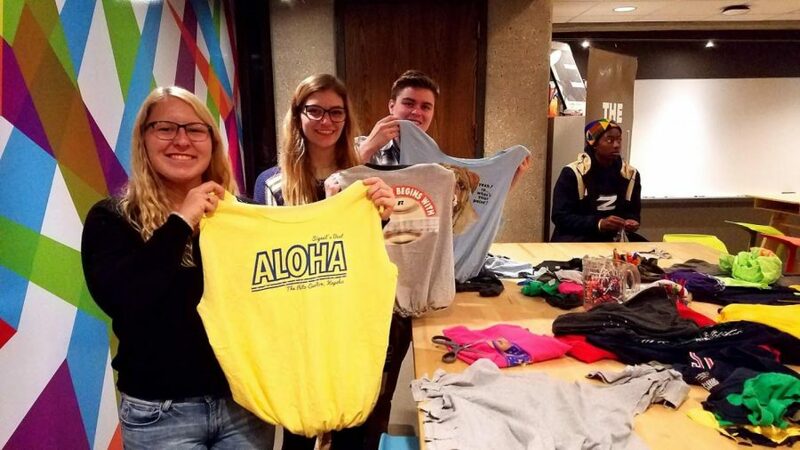 On Wednesday, Nov. 1, the EX[L] Center and the Environmental Conservation Club held an event where students from The University of Akron made reusable grocery bags out of shirts they no longer wear. The event was organized by EbaNee Bond, a mechanical engineering major at UA. Bond said she felt bad using plastic and paper bags when buying groceries so she began to use reusable bags from grocery stores. “I always ended up forgetting the reusable bags at home or in my car,” Bond said. Students working on their t-shirts. Bond said that when she remembered the reusable bags, it was always too late. “By making my t-shirts into bags, I have a personal connection with them and don’t forget them,” she said. Bond said that she took an interest in the EX[L] Center because it focuses on experiential learning and collaboration and because she wants to produce something that is beneficial to others. “I don’t like when I’m asked what I want to do in life, it’s too heavy of a question. I would rather be asked how I am going to help humanity, that is a more important question,” Bond said. Casey Braccia, the president of the Environmental Conservation Club, said EbaNee approached their club about the idea and they wanted to collaborate with her to make the event possible. “Our goal is to make the campus a greener place, we concentrate on the application of conservation,” Braccia said. 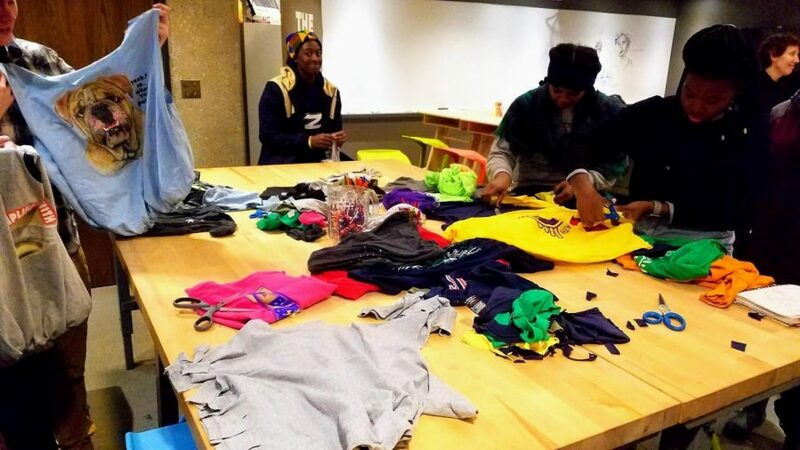 The EX[L] Center is an open space for students, faculty and community members to creatively work hands-on and discuss current issues, Dr. Carolyn Behrman, an anthropology professor said. For more information on the center, visit Bierce Library, suite 168 or their website.